Despite the potential benefits of models that integrate behavioral health and primary care, fiscal, structural, and cultural barriers prevent organizations from pursuing them. Accountable care organizations (ACOs) may be better positioned to implement integrated care because of modified reimbursement structures with an emphasis on care coordination. 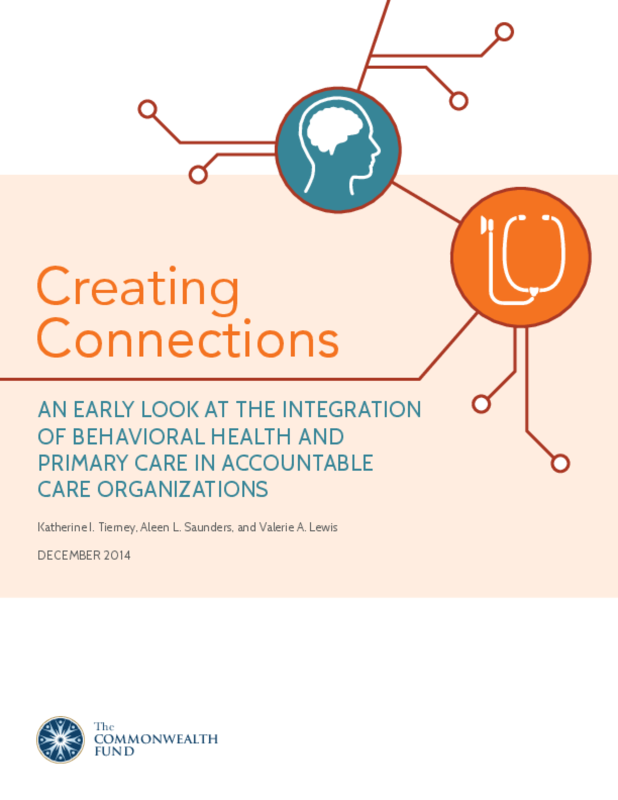 This report showcases integration approaches at two ACOs. The first uses a colocation plus collaboration model that improves connectivity between providers through proximity and improved sharing of information. The second uses a model that adds behavioral health specialists to the primary care team to bolster the capacity of PCPs in managing mental health and substance abuse conditions. We identify two factors that enable successful implementation: participation in an ACO and selection of an appropriate model of integration. External partners can support the spread of integrated models of care through education and collaborative learning.